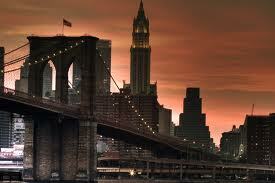 Brooklyn, New York is the home of the hipsters, the Nets, and thriving ethnic communities. If you consider yourself a “Brooklynite”, you might be faced with paying some outrageous car insurance rates. Fortunately, at New York Motor Insurance, we have a new way for you to save. Get the most competitive quotes on Brooklyn, New York auto insurance by shopping with multiple insurance providers at once. Just enter your Brooklyn, NY zip code above and we will compare quotes for you from the top car insurance companies in Brooklyn. Alternatively, you can view a listing of auto insurance agents in Brooklyn below and contact him/her yourself.